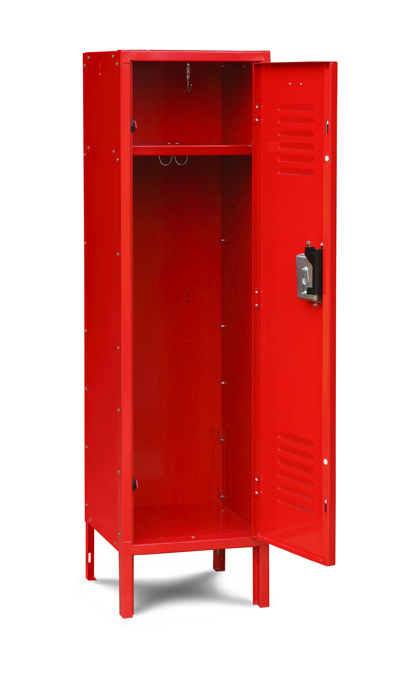 These Kids Lockers are available on www.buyusedlockers.com where they have a huge selection to choose from if we need additional supplies. 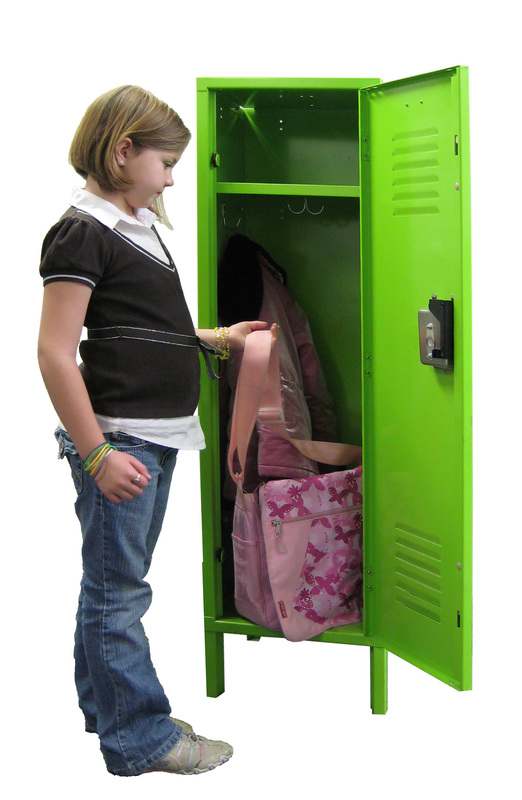 Dimensions: 15" x 15" x 48"
Kids Lockers for sale that are colorful and fun but also practical and useful to help kids keep their rooms tidy and organized and their favorite stuff locked up and safe from their siblings and friends. Parents often purchase these cute lockers for their kid's bedrooms, garages, game rooms and mudrooms. We always have a large stock readily available for quick shipment for that last minute birthday gift or award for outstanding athletic achievement. 15" wide x 15" deep x 48" high with 6" legs, overall they stand 54" high. The added depth helps discourage tipping. 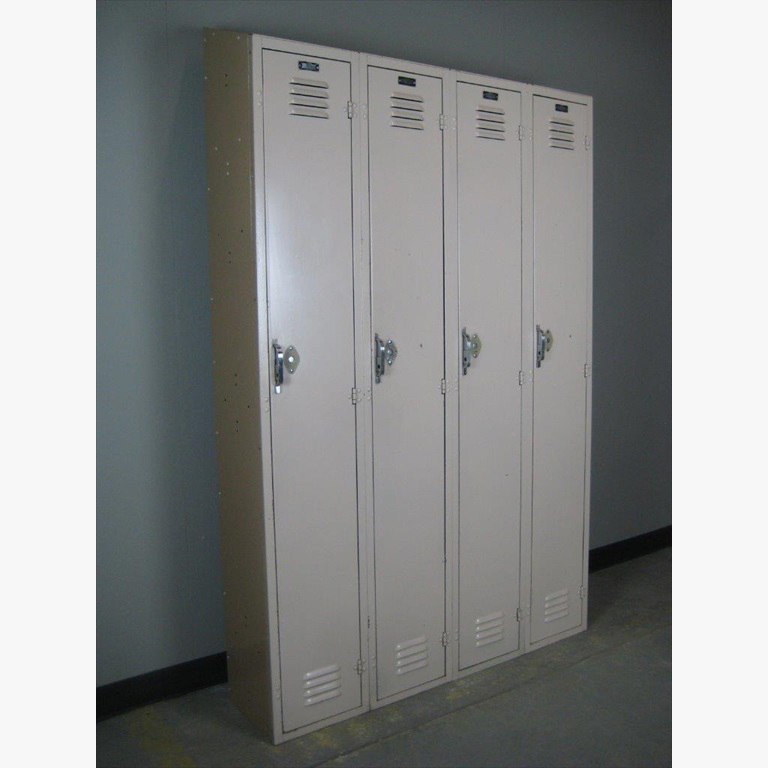 These are manufactured to the same specifications as our school grade quality lockers with 16 gauge doors & frames to withstand the rough housing typical of young rough housers. 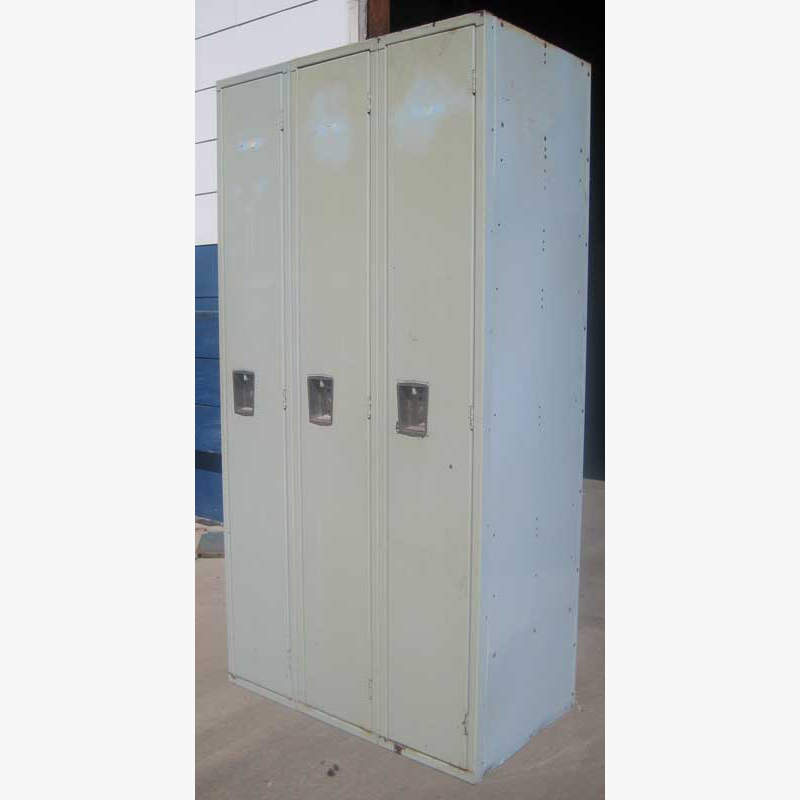 These can also be decorated as kid's sports lockers for your young aspiring athletes sports themed room.